Includes a FREE Thread Identification Gauge. 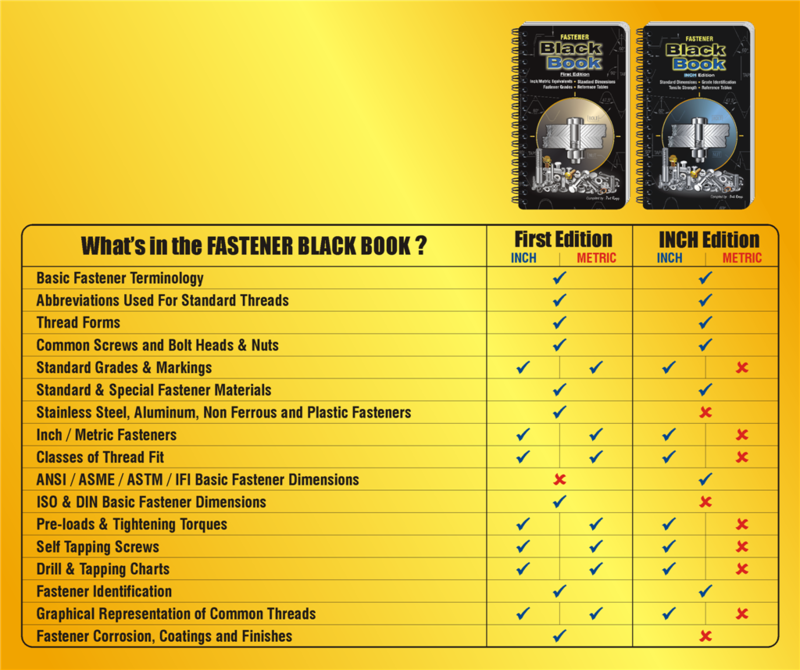 All New Engineers Black Book - 3rd Edition AVAILABLE NOW, formerly the USA Edition. Includes a FREE set of Bookmarking Tabs. 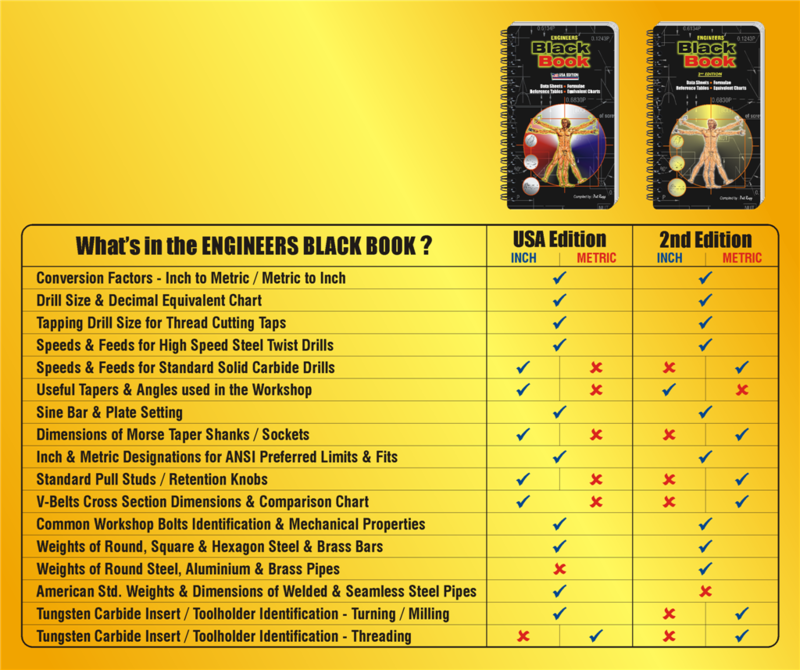 Engineers Black Book - 2nd Edition(Metric). Includes a FREE Drill Point Sharpening Gauge. 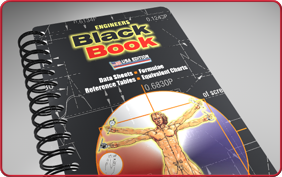 Engineers Black Book - USA Edition. Includes a FREE Drill Point Sharpening Gauge. Limited copies remaining! Includes a FREE Set of Self Adhesive Index Tabs. 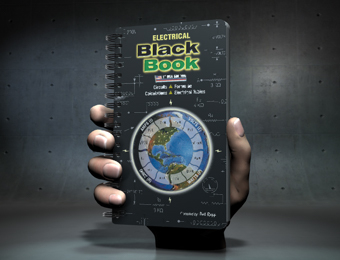 The ELECTRICAL BLACK BOOK is a Technical Electrical Resource Book consolidating the abundance of Electrical information into a easy-to-read and convenient user friendly format. 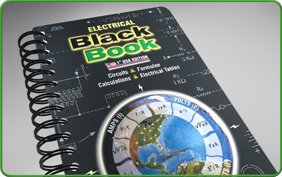 The Electrical Black Book is now available in the USA, Australia and New Zealand. 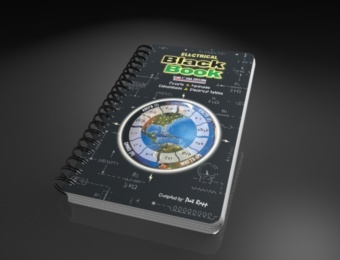 Whether you are a Electrician, Designer, Engineer or looking to understand the Electrical field better, the Electrical Black Book is an invaluable tool for Apprentices, Trainees, Tradesmen, Machine Shops and Technical Colleges, even simply as a gift to a colleague. 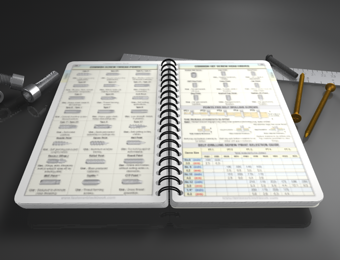 The ELECTRICAL BLACK BOOK has been manufactured with specially designed paper that offers superior protection for the rugged user. 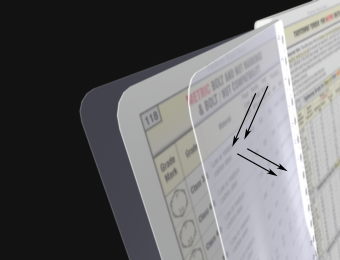 Each page is highly durable and tear resistant, in addition, each page surface is glare free for easy reading in bright conditions. If kept in your back pocket, toolbox, truck floor or used in the field or in a hard workshop environment - each page is protected against dust, wear and in the case of handling the book with greasy hands - no problem - each page is barrier protected and can easily be wiped clean without stain. 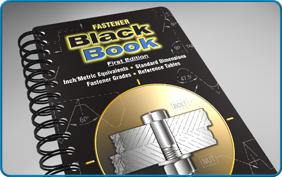 At 166mm High x 110mm Wide x 16.0mm Thick, the ELECTRICAL BLACK BOOK is extremely portable. It fits into your pocket, takes up little space on your bench and easily fits into you tool box or glove box. Capable of being held in one hand the Black Books are very convenient and trouble free to carry around. Designed with a WIRE-O binding system, the ELECTRICAL BLACK BOOK offers the user an unassisted LAY FLAT reading experience. Whether the book is mounted on your work bench or truck hood, the book will remain completely open (without assistance) and not spring closed like traditional binding methods.